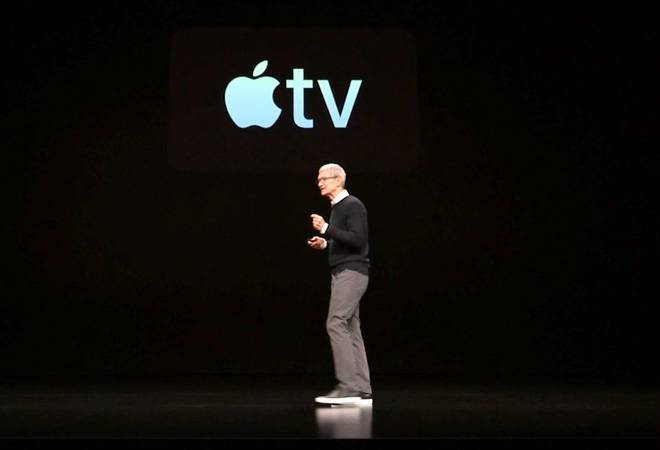 Expanding its service portfolio, Cupertino giant Apple has announced a video streaming application. Available across iPhone, iPad and Apple TV 4K in over 100 countries, this new Apple TV app is claimed to be one place to easily discover shows from over 150 streaming apps. The Apple TV app will be available on Samsung smart TVs beginning this spring and on Amazon Fire TV, LG, Roku, Sony and VIZIO platforms in the future. "Our vision for Apple TV app is to bring together your favourite shows, movies, sports, and news, and make them available on all of your devices. So you can spend less time looking for something to watch and more time enjoying it", says Tim Cook, CEO of Apple Inc.
Apple TV app will have all the new released movies, and the massive iTunes movie catalogue with over 1,00,000 titles, plus users' personal library built in. For those who subscribe to cable or satellite TV, they will be able to access all of their sports news and network TV right inside the Apple TV app. It has been designed in such a way that users will be able to pay for only the channels they want. The service is ad-free for the entire family. Apple is launching Apple TV channels like HBO, Showtime, Starz, Epix, CBS All Access, and more around the world. Apple has even redesigned the TV app to make it even simpler. The app will be personalised for users and uses advanced machine learning to understand what a user likes to watch from the existing subscription. Beginning in May, customers can subscribe to Apple TV channels a la carte and watch them in the Apple TV app, with no additional apps, accounts or passwords required. In addition, Apple has also announced Apple TV+, a platform for creative storytellers featuring exclusive original shows, movies and documentaries. Coming this fall, Apple TV+, Apple's original video subscription service, will feature a brand new slate of programming from the world's most celebrated creative artists, including Oprah Winfrey, Steven Spielberg, Jennifer Aniston, Reese Witherspoon, Octavia Spencer, J.J. Abrams, Jason Momoa, M. Night Shyamalan, Jon M. Chu and more. Users will be able to share the subscription with other members through Family Sharing. The pricing and availability for the Apple TV+ video subscription service will be announced later this fall.